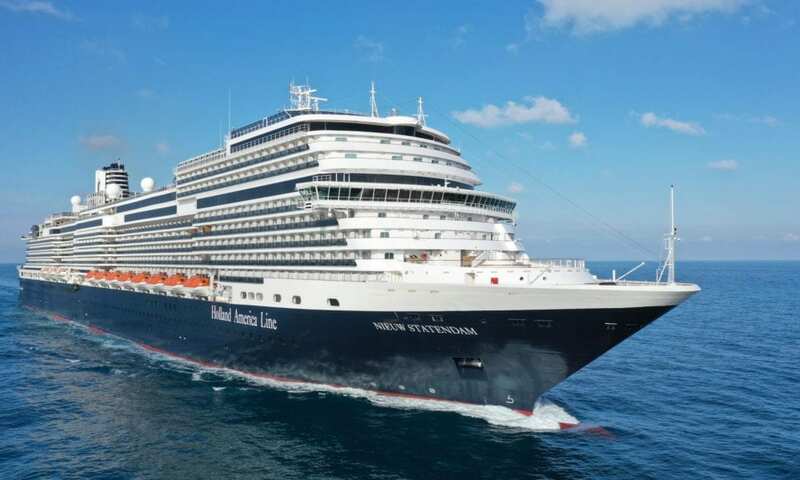 Holland America Line’s newest ship, Nieuw Statendam, arrived in Port Everglades, Florida this week after a 14-night transatlantic cruise that originated in Rome earlier this month. The 2,666-guest Nieuw Statendam is the sister ship to the Koningsdam, which debuted in 2016 and is also sailing from the Florida port this winter. Already, this has been a big year for new ships being introduced into the cruise market. Carnival Horizon debuted in April (and will be followed by Carnival Panorama in 2019), while Norwegian Bliss was introduced right around the same time (and will be followed by the Encore in 2019). MSC Seaview joined that company’s fleet only six months after they made a big splash in the American market with the Seaside. And of course, Royal Caribbean’s Symphony of the Seas stole the title of “World’s Largest Cruise Ship” right out from under her sister, Harmony of the Seas, when she was introduced. So what better way for 2018 to end than with Holland America’s newest ship sailing from its new home? “Holland America Line has been a primary customer for Port Everglades since the mid-1930s. This winter season, we will welcome 10 Holland America cruise ships, and have the distinct honor of being the host port for the Nieuw Statendam’s official naming,” said Port Everglades Chief Executive and Port Director Steven Cernak. Oprah Winfrey, who started a partnership with Holland America in 2017, will serve as the ship’s godmother and christen the vessel on February 2. Nieuw Statendam was one of the first Holland America ships to roll out Club Orange, a pay-for-perk program that allows guests to get priority embarkation, dedicated guest relation lines, and a private dining room. The name Club Orange pays homage to the line’s rich Dutch heritage. Last year, Holland America accounted for more than 11.5 percent of the total number of cruise passengers who traveled through Port Everglades. Nieuw Statendam will join Celebrity Cruises’ newest ship, Celebrity Edge, which is also sailing the Caribbean from the port this winter. In 2019, Holland America will have 10 cruise ships sailing from the South Florida port on itineraries to the Eastern Caribbean, Western Caribbean, Southern Caribbean, and Central America.